Data Science is the most promising job this year, according to the 2019 report released by LinkedIn. The criteria for determining which careers hold the most promise include salary, number of job openings, year-over-year growth and the possibility of promotion. The median base salary for data scientists is $130,000 and there are more than 4000 jobs openings in the US, which translates into a year-over-year growth of 56%. 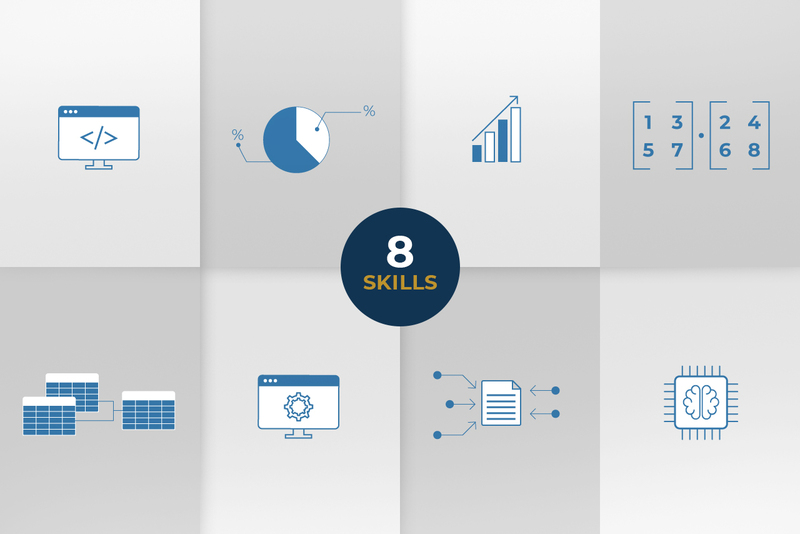 If you’re keen to make 2019 your year of upskilling, check out our infographic below to see the skills you need to become a data scientist. At a glance you’ll find out which programming languages you’ll learn, what data wrangling and data intuition entail and why data visualization and communication is so important in this field, as well as other important Data Science skills. HyperionDev offers an online bootcamp for Data Science – learn the necessary skills, at your own pace and with your own personalised mentor to launch yourself into this exciting career.